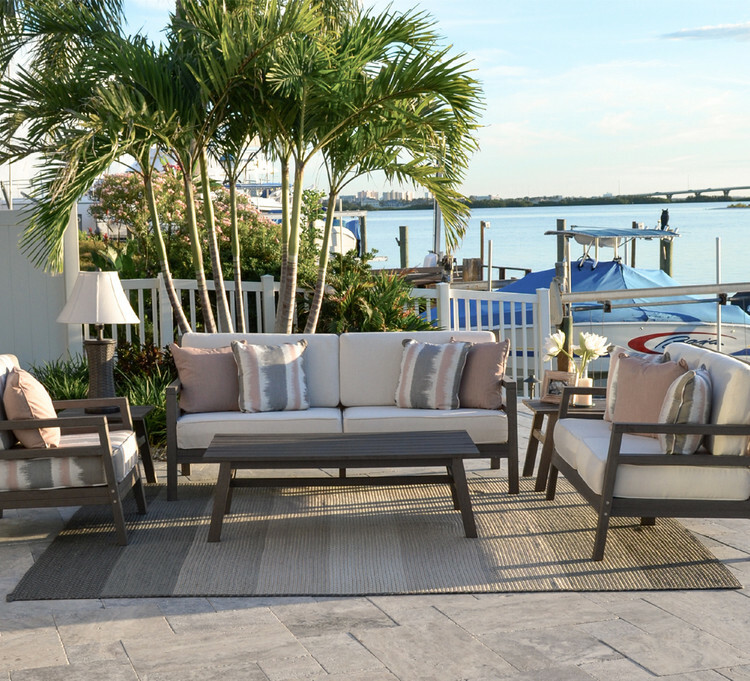 The gorgeous warm hues and texture of the Miramar Collection by Watermark Living™ makes the perfect transitional statement to any outdoor space. Our Weathered Teak or Vintage Walnut PoliSoul™ poly-lumber is like no other faux wood you have seen before. It is dense enough to be structurally sound and UV resistant without jeopardizing ultimate style. This collection can stand up to the harsh sun, salty waves and strong winds season after season. Featuring seating and dining this collection is full of style and function.